Hugo Barra, Vice President, Xiaomi Launches MI Air Purifier 2 – A smart way to clean air ! Well well Xiaomi one of the leading technology giants who entered India in 2014 with their wide range of smartphones have now launched their first Smart Home Product the MI Air Purifier 2 in India and that too at a very very affordable price of INR 9,999 only. It is a very intelligent product with really smart features that help you make the air you breathe cleaner and healthier without any fuss. Bring home a Xiaomi Air Purifier 2, download the MI Home App and turn your smartphone into a remote to control for your MI Air Purifier. Put the Air Purifier on Auto Mode and it will automatically adjust itself to the air around using the inbuilt sensors so don’t have to keep checking time n again. It will also give you a reminder when the filter needs a change. The filter when need to be changed is easily available online. We all present at the launch were absorbing this useful information with great interest, as Mr Hugo Barra, went on to share these details with us. Mi Air Purifier 2 will be available on Mi.com starting 26th September at 12 PM. It will also be available on Flipkart (exclusive partner) from 2nd October. I had a terrific time understanding this information first hand from Mr. Hugo Barra at a recently held media event. I am definitely gonna try this product and I am sure all of you will also do so, as cleaner air is not luxury but a necessity! Posted in Events & HappeningsTagged Air Pollution, Air Purifier, Clean Air Solution, Delhi Event, Delhi Lifestyle Blog, Health & Fitness, Lifestyle Blog, Lifestyle Blogger, Lifestyle Event, Press Launch, Product Information, Product Launch, Xiaomi Air Purifier, Xiaomi MI Air Purifier 2Leave a Comment on Hugo Barra, Vice President, Xiaomi Launches MI Air Purifier 2 – A smart way to clean air ! Ever wondered about the stubborn cheesy bulky thighs. Not fair, most men don’t have it why should we women suffer? 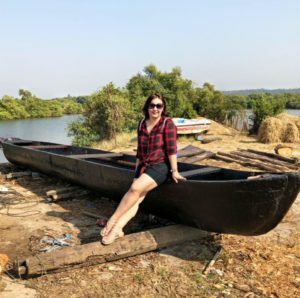 My own story is that I kept aside a sum of money and decided to get some surgery to get rid of those thighs but then I found this solution after researching and trying everything available about this topic on internet/books/journals (not much out there)/blogs/videos, machines also using help of friends who struggled like me and achieved success. Most of the times I also blamed hormones but then worked on them religiously diet wise and workout wise. I never became skinny but I found a way to manage to satisfy myself with even tone and got rid of side bags. As a result my thighs are way smaller now than few years ago. Here are 5 simple ways that you can add to your daily regime and become fat to fab.. Walk at least 30 minutes using whole foot and thighs (no running) not just feet. One should increase vegetable intake (raw mainly) 1-2 quarter plate of salad daily, with added fruits. Do squats/lunges (get the technique right please) in pluses when in shower, restroom, kitchen, 10, 10, 10. While watching TV, just sit 1 inch above the chair/sofa for a few minutes. Trampoline is awesome too for weaker knees. Stretch and squeeze those long muscles of legs whenever you can. Dr. Anjali Hooda Sangwan, MBBS, MD (INTERNAL MEDICINE) (USA) is a veteran Obesity, Metabolic Medicine and Clinical Nutrition Consultant. She has an experience of, Hypertension, Cardiovascular Heart disease & PCOD. She is trained in Pre and Post Bariatric Management of Obese patients with and without complex Medical Issues like Thyroid Disorders, Diabetes Mellitus Surgery Care. She provides an advice on nutrition and offers people an opportunity to improve their health. She helps her patients achieving healthy weight loss goals with alteration of life style and pharmacotherapy and micronutrient usage. Apart from designing the food plans, Dr. Anjali Hooda also teaches the residents about obesity and nutrition and its application in assessing the nutritional status of a patient and how to manage it. She also indulge herself into the development and teaching of medical students and house staff on the hospital consult service, reviewing common and uncommon diseases affecting nutrition and their effect on patient recovery in postoperative period and treatment of malnutrition including pharmacology. She has developed an App for Preventive Health and Weight Loss – www.livenutrifit.com. She did her MD in Internal Medicine, Lincoln Medical Center an affiliate of Weill Cornell Medical College, New York, USA and also trained in Bio-Identical Hormone Replacement Therapy (BHRT). She is a member of The Obesity Society, American Society of Metabolic and Bariatric Surgery (ASMBS) and American Society of Parenteral & Enteral Nutrition (ASPEN), American College of Physician (ACP). Despite designing food plans for several celebrities and other eminent personalities, Dr. Anjali Hooda Sangwan ensures she is accessible to all her patients and provides the best course of action to each one of them. I come across so many people who always ask me doc can I eat some sweet post my meal every day? Or I have a sweet tooth and I can’t live without some sweet every day. Sugar is a standard term we use for table sugar, the white sugar. Simple sugar is made up of a monosaccharide example fructose, glucose; galactose. Table sugar is a disaccharide and is converted to glucose and fructose in the body. Our bodies cannot make fructose but can produce glucose from the stored glycogen. Consuming too much fructose will lead to conversion to fat and since the process takes place in liver, one can have a fatty liver. Sources of fructose include fruits, table sugar, added sugars to processed foods. Fruits usually can never be overeaten but you will be surprised when people will do that on all fruit fad diets, which includes fruit juices without any fiber. Every living cell has glucose without which survival is impossible. Sugar is addictive and numerous studies have shown it to be very addictive. Lot of people argue: but shouldn’t we eat sugar for energy, what do you mean give up sugar, how will we live? Almost all foods contain sugar in some quantity more or less. In addition to weight gain, excess sugar can also cause inflammation, have adverse effects on your heart, increase your risk for diabetes and possibly cause kidney damage. Giving up sugar now or never that’s how it works. One should learn the difference between natural and artificial sugar. So if we consume lots of fructose then we can get numerous diseases like Insulin resistance, Diabetes, Cancers, Obesity, Heart disease. Addiction to sugar is real; sugar causes release of dopamine in brain (happy hormone) therefore more we eat more we want to eat. Although sugar per se doesn’t have a high glycemic index (Food effect on blood glucose) But addition of sugar to foods can cause the calorie intake to go high for the body. There has been conflicting studies regarding sugar intake but as far as data for obesity is concerned it’s a red alert and directly related to high sugary beverages. I am of the opinion that moderation is the key, consuming high sugar foods and then adding an artificial sweetener to beverages is totally incorrect. If you consume large quantities of sugar, try to give it up now. More you consume more you crave for it. It’s a condensed calorie so it will not fill up the stomach but will give a lot of positive energy balance. Go easy in a party don’t let one night of fun ruin your sugar quitting, as party will end but cravings will not. While buying, read food labels carefully, choose foods with less amount of sugar approximately 10 mg or less per serving. Alcohol also contains sugar. It is called empty calories. Try to reduce or quit it. Artificial sweeteners as low-calorie replacements have a variety of side effects. Moderation is where the answers lie. If you work on decreasing sugar in your diet you will develop a taste for low sugar intake. It’s a habit, which we have to work on. Choose your sugars wisely and decrease portion if you are going to have that scoop of ice-cream. Dr. Anjali Hooda Sangwan, MBBS, MD (INTERNAL MEDICINE) (USA) is a veteran Obesity, Metabolic Medicine and Clinical Nutrition Consultant. She has an experience of, Hypertension, Cardiovascular Heart disease & PCOD. She is trained in Pre and Post Bariatric Management of Obese patients with and without complex Medical Issues like Thyroid Disorders, Diabetes Mellitus . She provides an advice on nutrition and offers people an opportunity to improve their health. She helps her patients achieving healthy weight loss goals with alteration of life style and pharmacotherapy and micronutrient usage.